Wits becomes more inclusive of non-conforming and non-binary students by adding a gender neutral title. 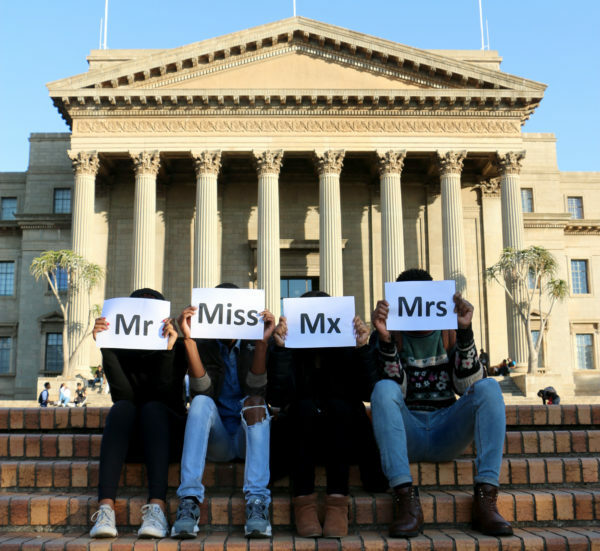 MX’ING IT UP: Wits becomes more inclusive with 43 gender neutral bathrooms and the introduction of the Mx title. Photo: Sam Lee Hill. WITS HAS added the gender neutral title Mx (pronounced mix) as an option on the student self-service portal since Monday 16 July. This was implemented in order to become more inclusive of the Lesbian, Gay, Bisexual, Transgender Intersex, Asexual and Queer plus (LGBTIAQ+) community. Students and staff will now be able to select whichever title (Miss, Mr, etc.) they prefer with the added option of the gender neutral title. Non-confoming people do not often utilise the pronouns given to them at birth such as he or she. Senior administrative assistant at the Disability Rights Unit, Tish Lumosprefers the pronouns they/them. They* were the driving force behind the inclusion. They have benefited from the addition as they have been using the Mx title after coming out as a transgender, non-binary person since 2015. “A number of requests have come through over the past few years. “Development planning master’s student Siya Hlongwa is a transgender woman. To her, this change means she can be herself and feel respected during her studies. neutral toilets. There are 43 gender neutral toilets available across the campuses with plans to include more. *Tish Lumos prefers the pronouns they/them.